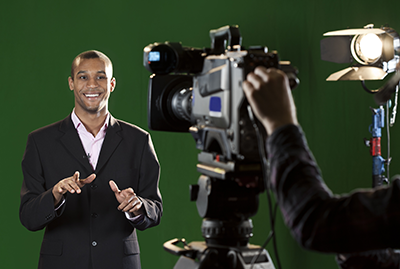 At BMI we’re experts at handling all aspects of your speaker and trainer video production needs. Jay Leno, Magic Johnson, General Norman Schwarzkopf, Bill Cosby, Charles Kuralt, Mary-Lou Retton, Joe Theismann, Ken Blanchard, and Don Shula, as well as countless trainers, corporate executives, doctors and professional speakers. You’ll receive outstanding quality, experienced crews, above and beyond service and competitive pricing. What Makes Us Your Best Choice for your speaker related video production? We’ve produced more speaker and trainer videos than we can count, and we have a long list of very satisfied clients. We’ll give you the same great service and quality. Plus we know how to make you look your best, and how to help you get the results you’re hoping for. Our crews have vast experience shooting live events. This means that we know how to get the footage and sound you want without disrupting the event or calling attention to ourselves. We’re skilled at working with your audio visual company to ensure that you have good sound and lighting. We’ll shoot and prepare the footage for you in the most optimal way to meet your goals. We know how to strategically draw out great sound bites and relevant comments. Want to get your point across effectively, while adding interest and excitement to your presentations? Your video can include on-screen testimonials and interviews, locations, demonstrations, graphics, stock footage, best practices, and any other footage that will support your presentation. Motivate, set the stage and call your viewers to action. We can design your video to inspire whatever mood you’re trying to achieve — fun, excitement, unity, pride, desire, belonging, etc. Our videos can add polish to the event, create anticipation and affirm the key message. Need a Trainer or Speaker Demo That Sells? 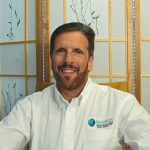 Prior to starting BMI, Greg Ball, President of BMI was employed by major national and international corporations where he chose speakers and trainers for their events, conferences and in-house training. Not only is he an expert at video production for speaking and training purposes, but he knows what companies look for when reviewing demo videos. So…We can help you increase your bookings by giving you a well produced video that will make a great impression. Your demo video is like a short sales call. A quality demo video produced by BMI let’s your client know that you’re a professional, experienced and in-demand speaker. Get in the door and past the “gatekeepers” to the decision makers. Show your unique style and how the audience responds to you. Have a quality tool to reach thousands of potential clients. Increase the caliber of your bookings. Produce and Sell Your own Videos! We can video tape, edit and package your entire presentation into a polished and professional product for you to market. We can duplicate and package it in any format. We can even translate it into almost any language. 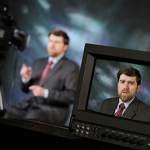 Small or large, your training video will receive our full attention!